- Our range of F. R. P. Motor cover are anti corrosive, life long, water proof, light weight, no maintenance charges, not to be paint (built in paint), attractive appearance, air ventilation for motor cooling, once piece construction. We are engaged in manufacturing and supplying FRP Motor Cover. Shree Gajanana Industries (I) Pvt. Ltd. These products are manufactured using latest technology and skillful professional to ensure long lasting life and high durability. We manufacture FRP Covers as per requirement of various size and various colors as per client’s requirements. 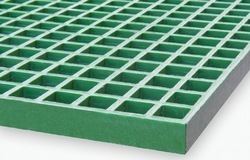 We are Manufacturer of FRP Pit Cover. - Specially Designed for earthing Inspection. - Durable mild FRP cover and body. - Square top to aid block pavior cutting. 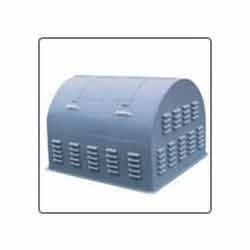 We are manufacture and supplier of all types of fiber glass products like motor cover small and big motor cover which is used in bigger tank . We are offering all types of Machine cover for different industries. We are equipped with a state of the art Pultrusion machine that is capable of Pultruding large & diverse FRP Pultrusion Profiles with a high degree of accuracy. We manufacture Machine Covers as per customer’s specifications. Consistency, good workmanship & accuracy are the main requirements for proper fitting of machine covers. Mould ability in any shape [small and medium quantity] is possible due to inherent FRP Properties, light weightiness, corrosion resistance, any color are main advantages in machine covers.